SAP PM ( Plant Maintenance ) is a functional module which handles the maintaining of equipments and Enables efficient planning of production and generation schedules and provides interfaces to process control and SCADA systems.The R/3 Plant Maintenance (PM) application component provides you with a comprehensive software solution for all maintenance activities that are performed within a company. Supports cost-efficient maintenance methods, such as risk-based maintenance or preventive maintenance, and provides comprehensive outage planning and powerful work order management.In this page you will get some SAP PM Tutorials and PM Pdf training guides to download. Also refer the PM components, PM tables & PM tcodes. How will you search for replacement equipment in SAP ? Which tcode is used for displaying the network list in SAP PM? 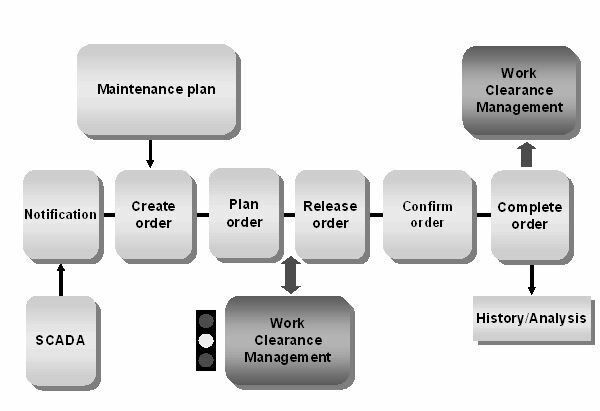 How will you specify the system mesaages in SAP PM ? What is the purpose of tcode BGMN in PM module ? Which table used to store the Order master data history?